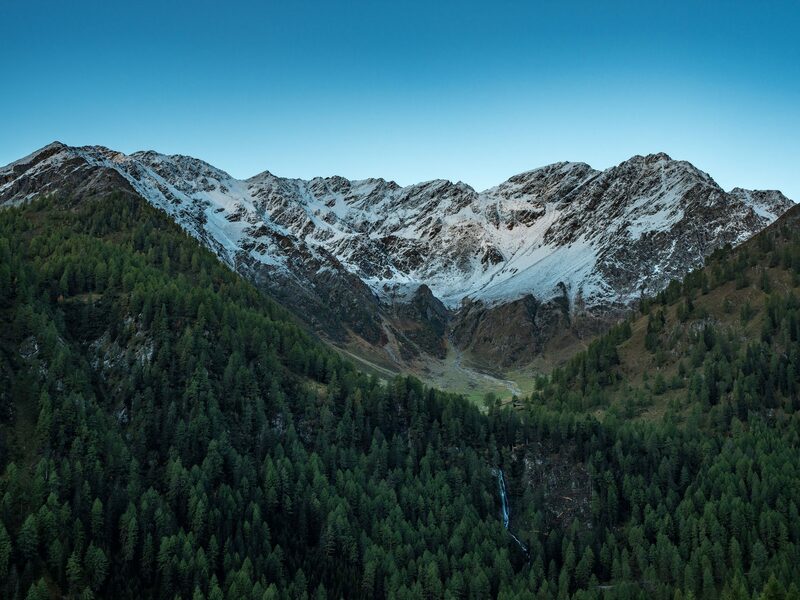 During an amazingly refreshing trip to east Tyrol, I captured this impression from our hut. The previous day we climbed down from our part of the mountains, crossed the valley, passed the waterfall and climbed up all the way to where the snow starts. However, that day it was extremely foggy and raining. We had no idea the scenery was this beautiful until the sky cleared up the next day.